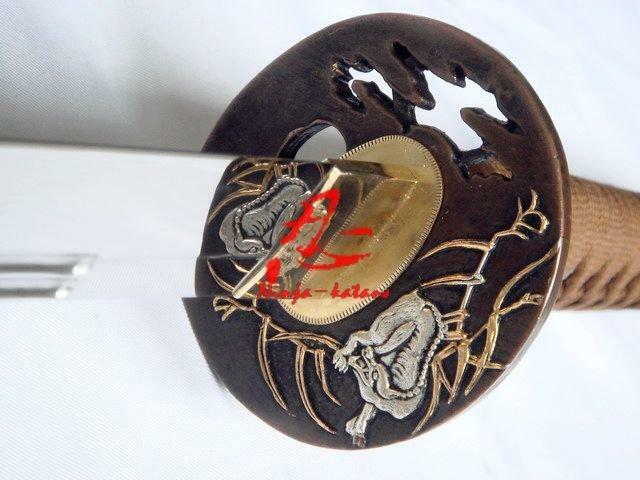 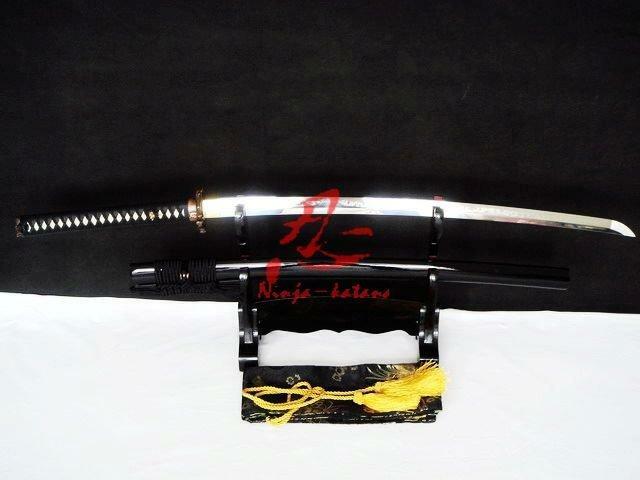 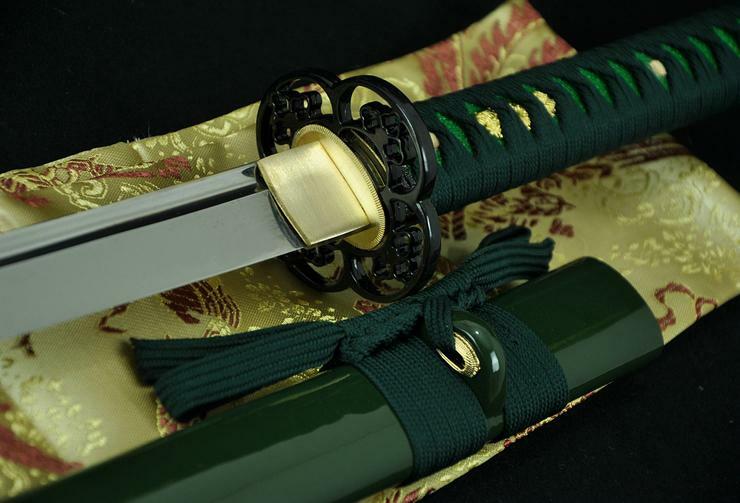 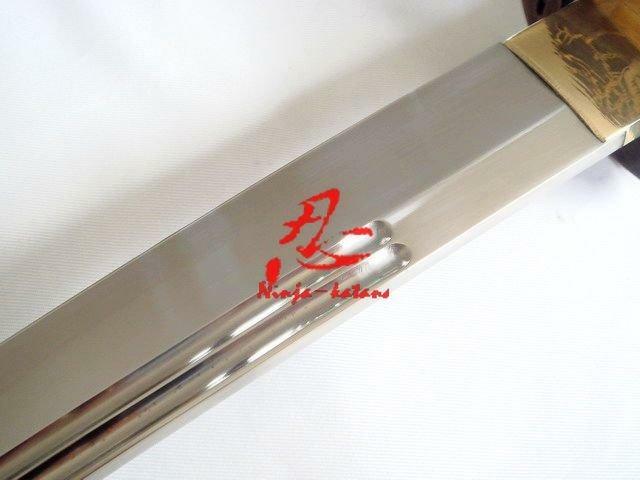 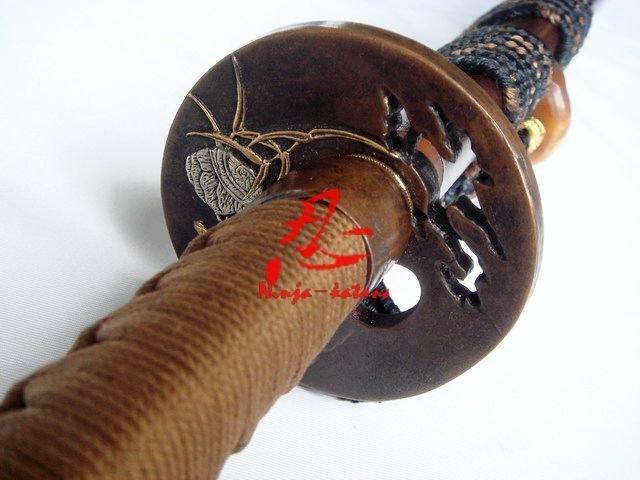 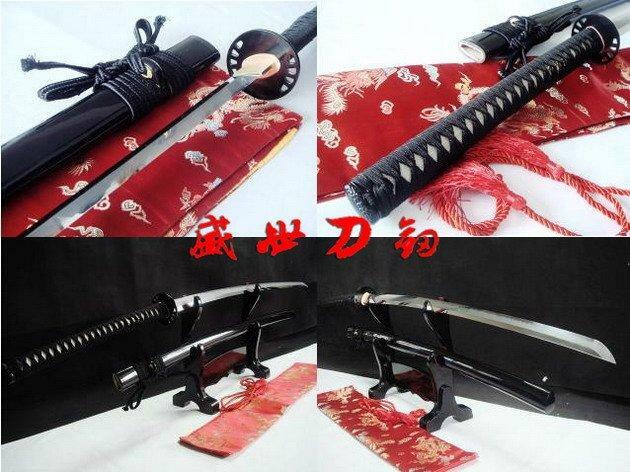 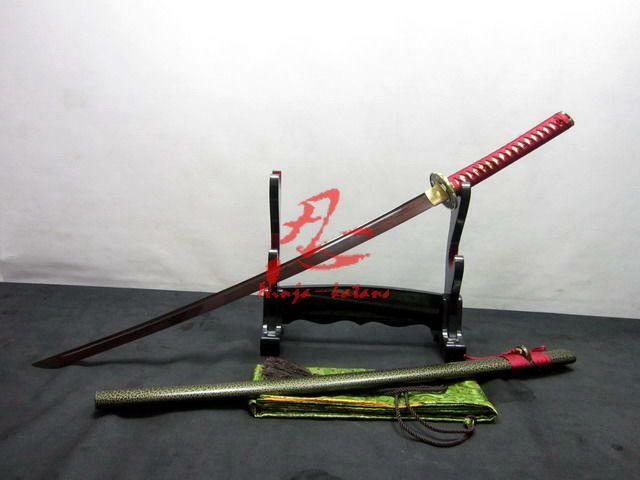 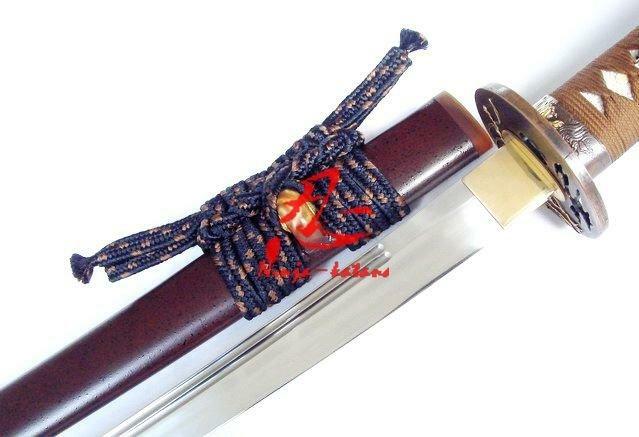 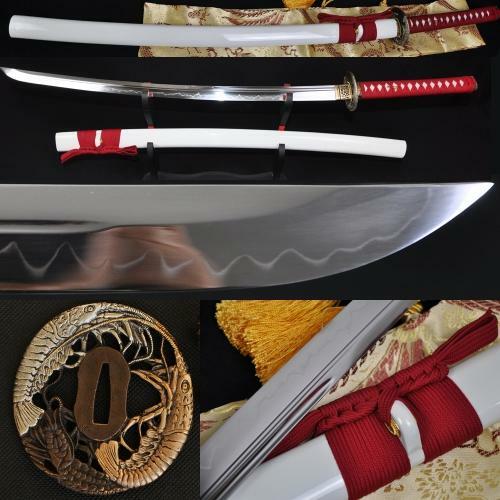 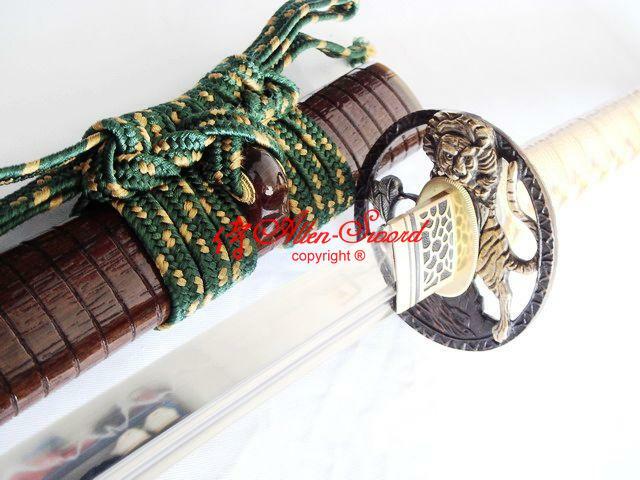 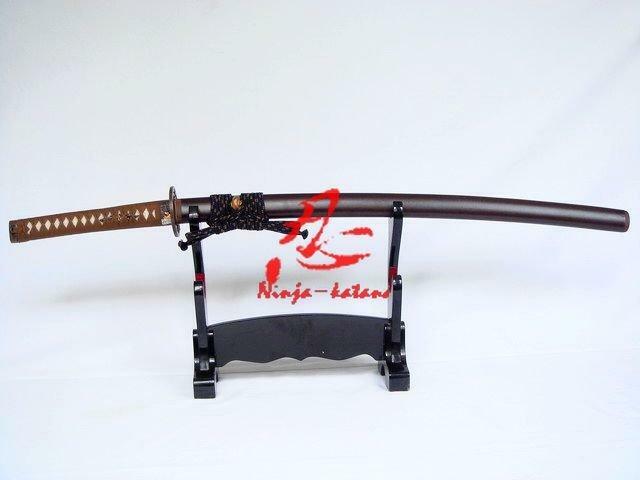 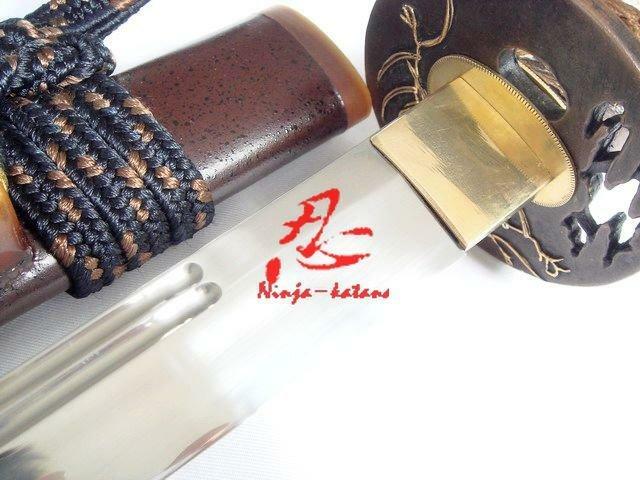 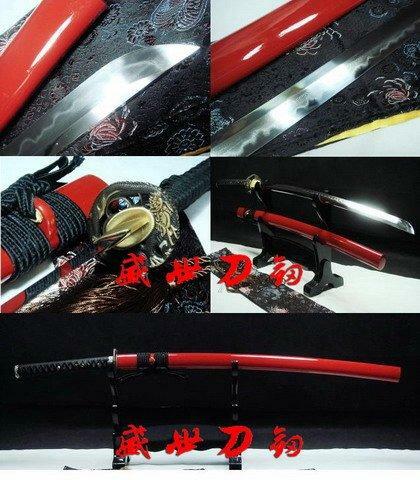 This kind of katana is hand forged and the use of material is 1095 high carbon steel,The blade was be forged through CLAY TEMPERED method to produce,Blade edge Hardness 58-60HRC.This katana can be fully disassembled anythime to maintenance and you don\'t need worry about loose. 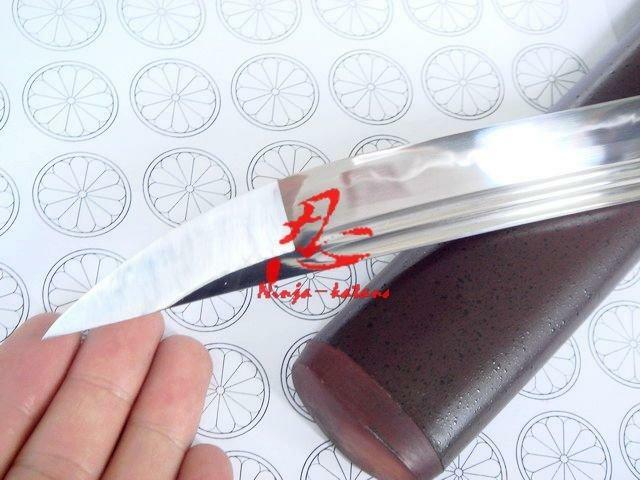 Distinct real Hamon created by fully hand polishing and hand abrasive to Razor sharpened edge. 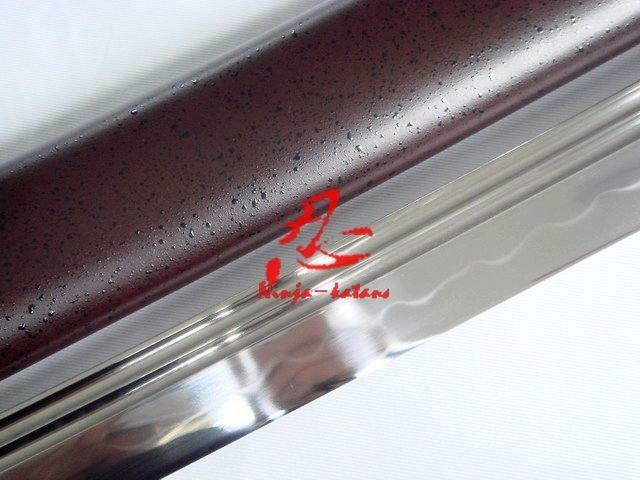 quenched and tempering blade shaped shinogi-zukuri, but without YOKOTE line points(Shobu Zukuri style). 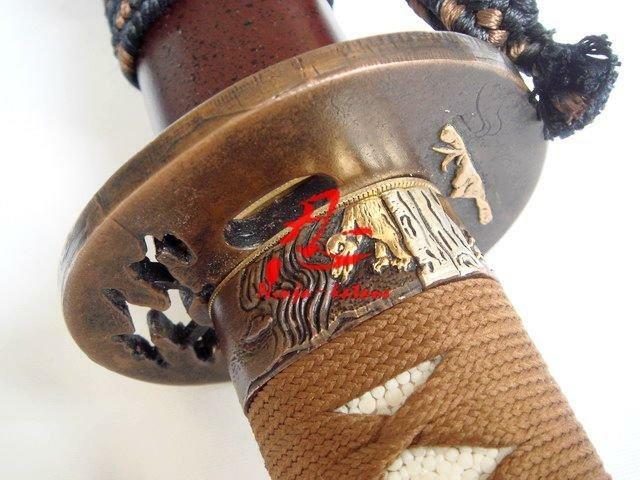 which has irregular wavy boshi. 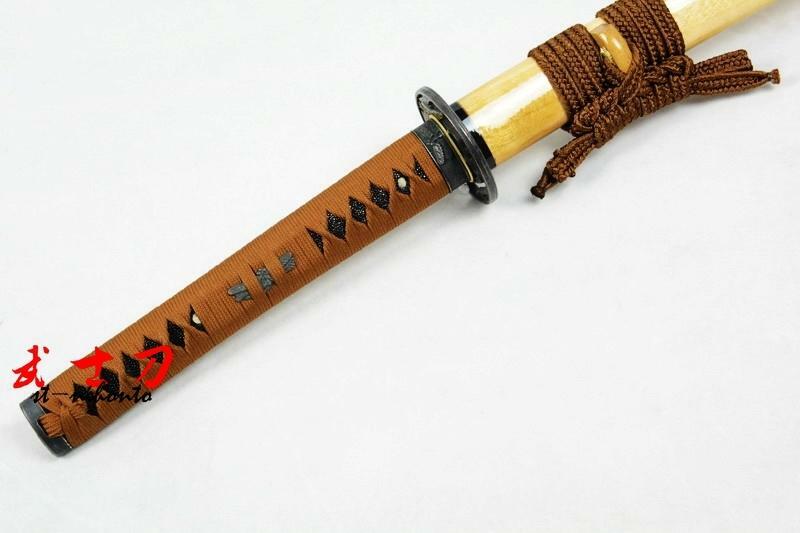 important, the sword has TWO fully and tenuous groove on blade. 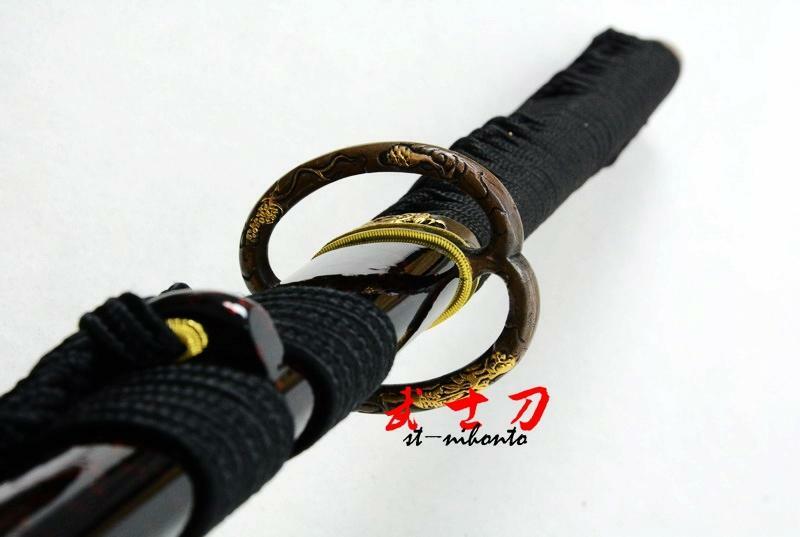 also hardened edge can cut tatami with a strike and bamboo not cracks on the edge!This battle ready sword suit for kendo and iaido superior.